Over the past decade, Sierra has entertained and educated countless classrooms, campuses, marches, non-profit benefits, women's shelters, empowerment retreats, and mental health conferences. She has written and performed commissioned work for such acclaimed organizations as Nike, To Write Love on Her Arms, American Composers Forum, William Mitchell College of Law, and more. As one of the oldest forms of storytelling, performance poetry connects us with others as well as ourselves. In addition to articulation, intonation, and the difference between successful and distracting body language, Sierra's performance workshops illustrate useful communication skills that extend beyond the stage. Focusing on sensory images, figurative language, and storytelling, these introductory workshops are accessible for all writers regardless of skill or experience. Sierra provides simple but effective tools for pushing your poetic capabilities: to help you freshen your metaphors, expand your image palette, and hook your readers. Want to foster a culture of spoken word at your school? Need assistance pitching performance poetry to your administration? Curious about the best practices of teaching the ins and outs of slam poetry while addressing the potentially triggering topics it might address? As the founder and curriculum director for the nation's leading summer poetry camp, Sierra is an expert in utilizing spoken word to build community and safe space in your classroom and on your campus. Interested in something unlisted? 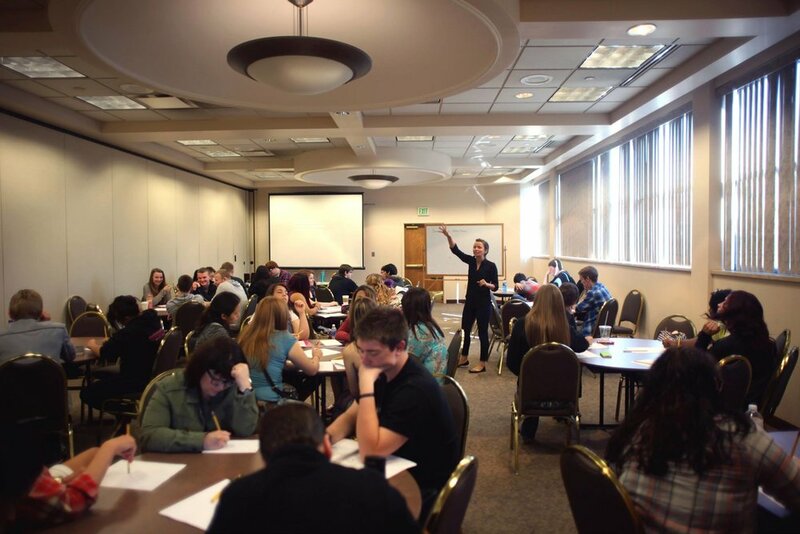 Sierra offers a plethora of different workshops on topics ranging from writing, community building, mental health, sexual assault advocacy, and more. Participants vary in age from elementary student to life-long learners.